Pharoahe Monch Calls Upcoming Collaboration "The Feature Of My Dreams"
Home>Music> Pharoahe Monch Calls Upcoming Collaboration "The Feature Of My Dreams"
Fans are caught up in speculation. 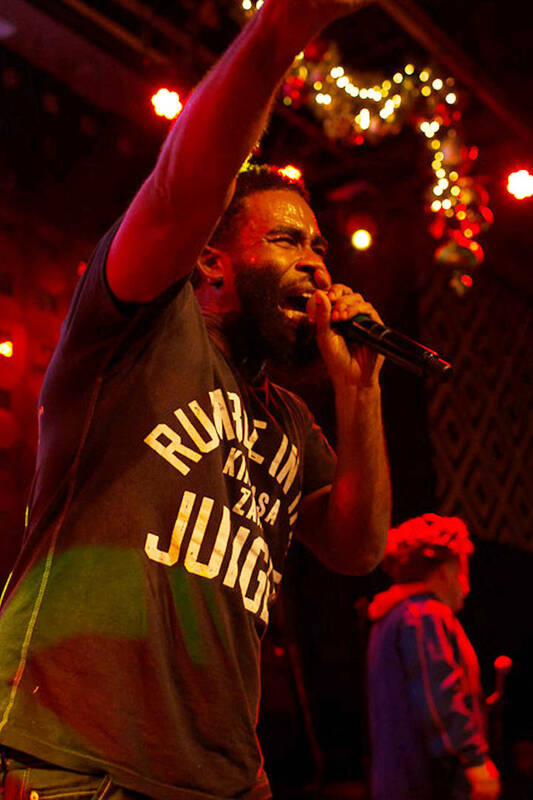 This year seems to spell a year of musical abundance for Pharoahe Monch. The rapper kicked off the year with a new track, fresh of the release of "Yayo." He served the new tune along with some truly engaging visuals although the content has not been confirmed as part of an upcoming project. Still, the Queens native is planning of rolling out some new music. He recently announced his plans to collaborate with an iconic group. The Internal Affairs artist hopped on social media to celebrate. "Man I just got a text message from the feature of my dreams, like, “Yo we love the song it’s a go!” This just turned my entire day around," he wrote. "It’s a legendary hip hop group, you’ll never guess who." Fans have already started speculating about the upcoming collaboration. He eventually retweeted one response that named "Salt-N-Pepa" as his "dream" feature. This may or may not be a confirmation as much as it is an acknowledgment of an often understated group of influence. He also retweeted someone's suggesting Tuff Crew, the makers of "My Part of Town," along with a series of laugh-crying emojis. Other guesses included Little Brother, Naughty by Nature, M.O.P., The Roots, De La Soul and many others within the genre of Hip Hop. One of the named groups that got the most positive reactions from fans was the Outkast, which would entail a much-awaited reunion, a blessing in itself. Future Is Tired Of Being The Bad Seed: "I Love The Thought Of Loving Somebody"
MUSIC Pharoahe Monch Calls Upcoming Collaboration "The Feature Of My Dreams"